Cut and trim card base to 8.5 by 5.5 inches. Place card base in embossing folder. 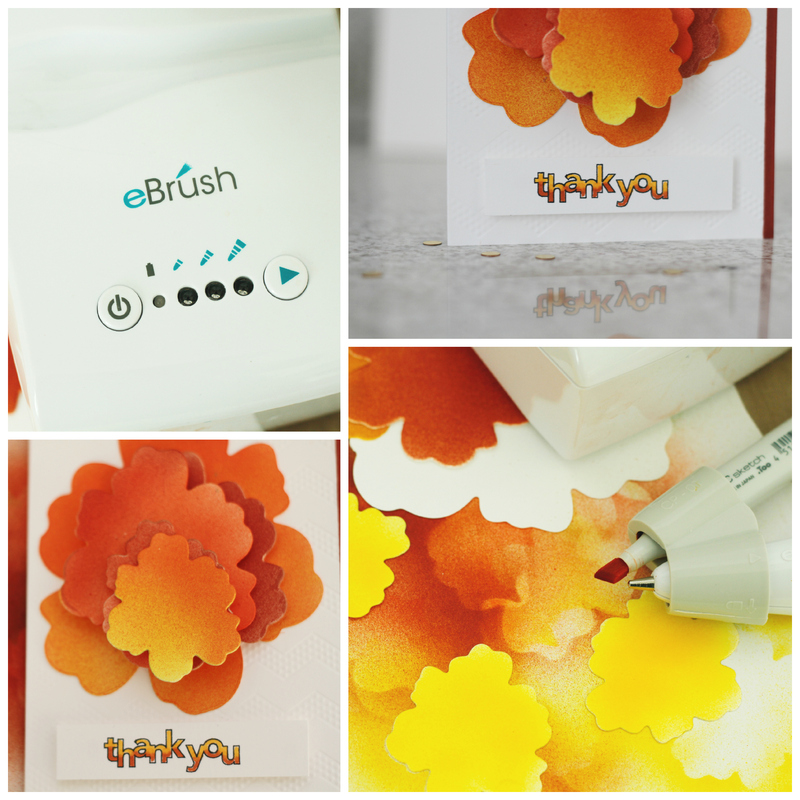 Use cut 'n' boss and cutting platform recipe D + A +embossing folder + A and feed through Cut 'n' Boss. Remove card base and score in center, resulting in a card sized to 4.25 x 5.5 inches. Use nested flower dies in three sizes (small, medium, large) and Cut 'n' Boss plus card stock to create flowers of various sizes. Select markers in complementary fall colors. Starting with lightest color, use eBrush on first setting to layer color, lightest to darkest shade, paying attention to apply extra shading to each flower's edge. 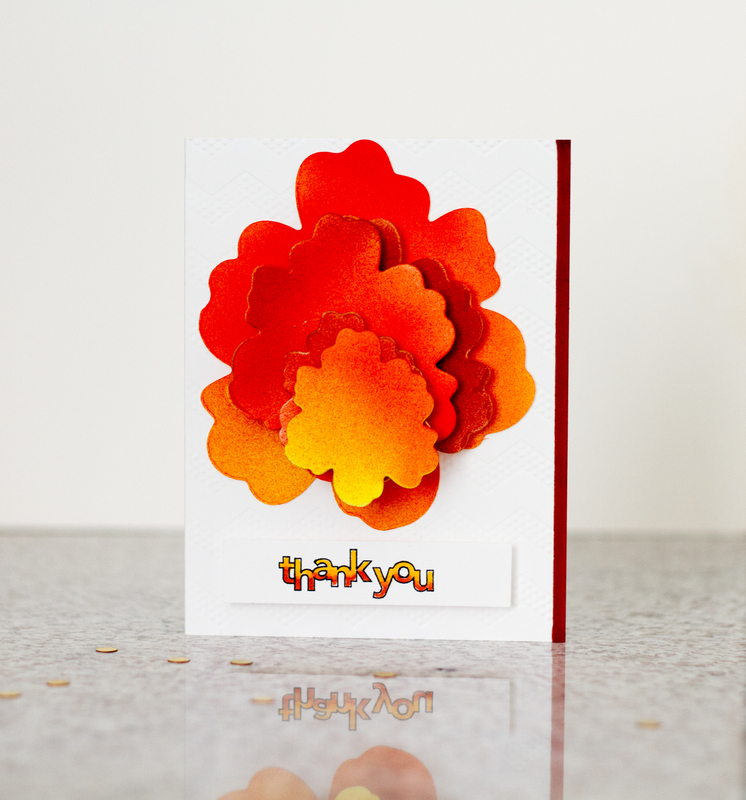 Use foam tape to layer flowers and adhere to card base. Stamp and color sentiment onto card base. Let's take a look at the final card: This card was so fun to make and I can't believe I started out with plain white card stock! I have officially fallen for the eBrush! 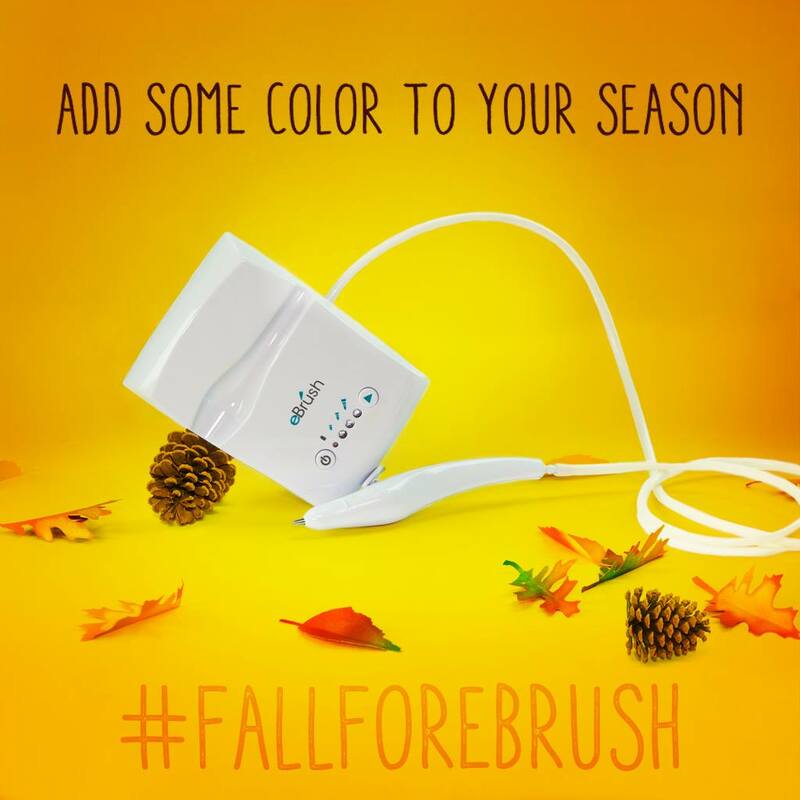 Don't forget that you still have today and tomorrow to enter Craftwell's #fallforebrush giveaway. Click HERE for all the details! Take care and thanks so much for stopping by the blog today!